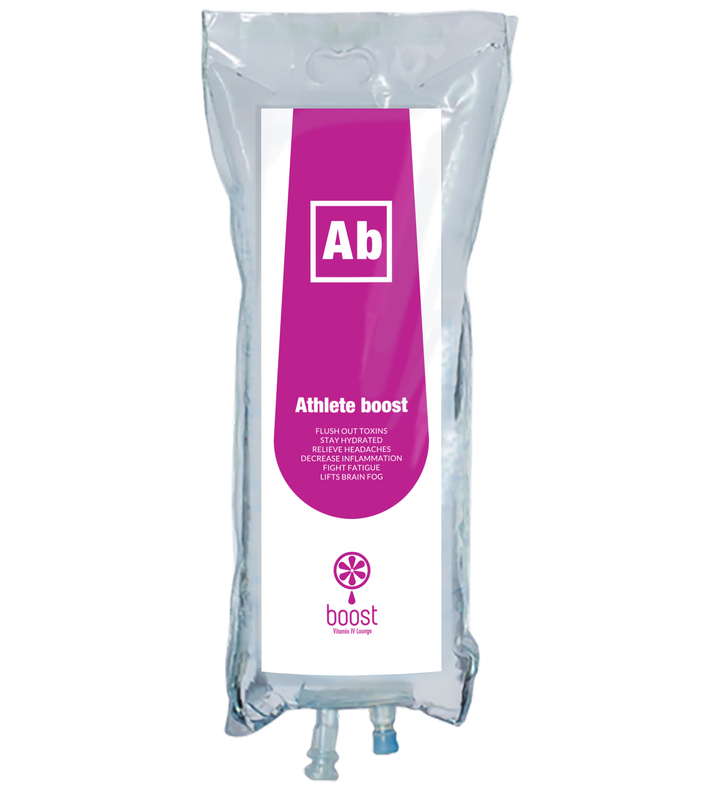 Athlete Boost is a Vitamin IV Therapy that is formulated to support the rebuilding, maintenance and hydration of your muscles. More beneficial than any after-workout shake, drink or pill, this IV therapy helps to enhance your energy, endurance, and recovery. Perfect for both professional and amateur athletes to give your muscles a boost; whether it’s for pre-endurance or for recovery. After a workout or athletic event, your muscles are tired, torn, and require time for recovery. Our Athlete Boost Vitamin IV Therapy provides you with a high dose of amino acids such as carnitine to accelerate muscle recovery and promote regeneration. With Athlete Boost Vitamin IV Therapy, your body directly receives the essential amino acids it needs to naturally repair the cells and tissues in your body, helping you to keep at the top of your game.